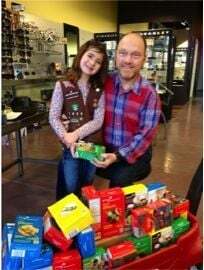 Dr. Barry Blonder with his granddaughter Mimi, a Brownie member of Girl Scout Troop 1499. Arizona Public Service: APS granted SARSEF (Southern Arizona Research, Science and Engineering Foundation) $50,000 to support its free STEM educational outreach programs to Southern Arizona schools in areas of poverty. 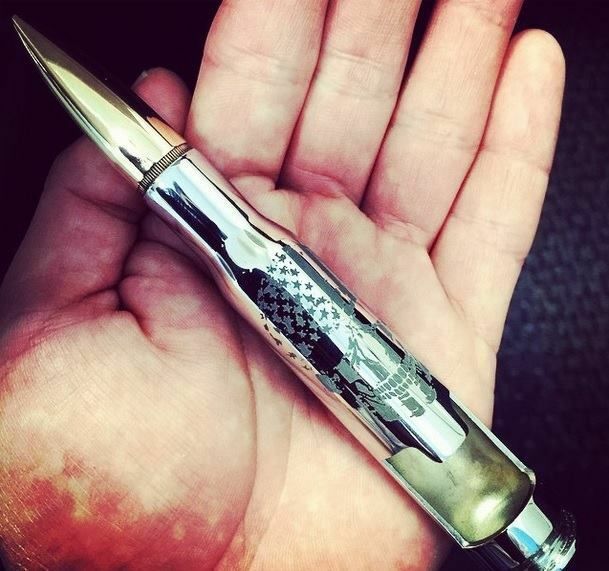 Bottle Breacher: The manufacturer of beverage openers from ammunition rounds will offer a special Eagle Fund-branded Bottle Breacher and will donate all the proceeds to Eagle Fund, which supports active-duty, wounded and retired special operations members. The items are available now through bottlebreacher.com/eagle-fund-bottle-breacher-with-gift-box. Dr. Barry Blonder of Fashion Eye Center: Blonder will buy 300 to 500 boxes of cookies from local Girl Scouts. He will give a box with each purchase of prescription glasses; others he will donate to the troops. See www.FashionEyeCenter.com for details. Tucson Federal Credit Union: TFCU partnered with Sunnyside Unified School District to host a food drive in November, which brought in more than 4,100 food items to benefit the 1,200 children identified as homeless by the Sunnyside McKinney-Vento program during the 2014-2015 school year. Submit items to business@tucson.com; please use Giving Back in the email subject line and include photos in JPEG format. Trico awards a total of $40,000 to nine nonprofit charities. TCC donates to 3 Tucson nonprofits; Vantage West to award more scholarships; and more. TCC, a Verizon Wireless retailer, is helping out five local nonprofits. Donations by Truly Nolen and Tucson Coin and Autograph Inc. Donations by Cox Communications, Feed the Children, BRAKEmax, Rincon Optimist Club and Loop Jean Co.